Two weeks have passed since the Vancouver Canucks’ Game 7 Stanley Cup loss to the Boston Bruins and the ensuing riot. Other events have prevented my journalistic ink from flowing as freely as others’ on this topic…yet the amount of ink spilled (both literal and virtual) has done little to answer the fundamental question of why the riot happened. Opinions range from “there wasn’t enough of a police presence” (“Police actions questioned in wake of Vancouver riot”, CTV News) to “the potential for violence always exists in the human brain” (“Sometimes, is a riot normal?”, The Georgia Straight, June 23). 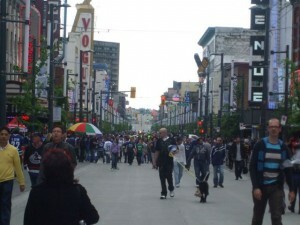 I’ll let the experts discuss the reasons behind it, although I will say that I was as surprised as anyone at the Game 7 riot, having been downtown watching Games 4 and 6, both of which the Canucks lost. There were over 100,000 fans downtown on earlier game nights, and many of us watched the game on the big screens at Georgia and Hamilton Streets. There were big groups of police and security personnel standing around, as most fans went home in a state of quiet depression during the barren third period of each game (“Vancouver riot saw 800 cops on the street“, The Globe and Mail, June 28). The Stanley Cup Playoffs ran nine weeks this year, and considering it would have been the Canuck’s first Cup ever and Canada’s first since 1993, Cup Fever had built up over a two-month period. I’ll also leave aside the alarming, or alarmist, media coverage, which quickly spun the story out of control. 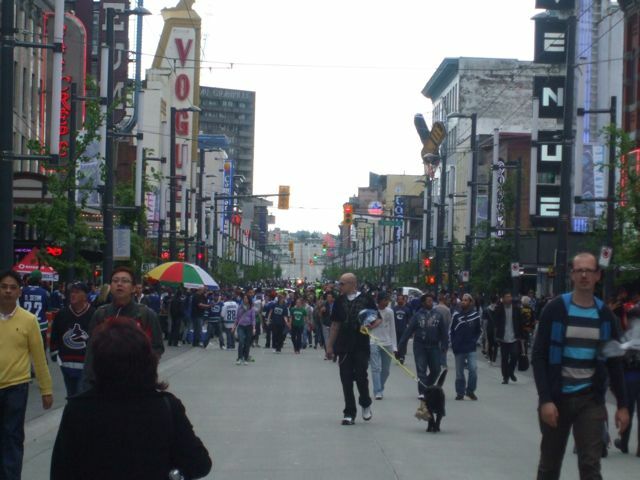 At 10pm on June 15th, a mere hour after the game ended, CTV reported that “Rioters left downtown Vancouver reeling from countless fires, widespread looting and numerous stabbings in the wake of a crushing loss for the Canucks.” (In fact, fifteen cars were set on fire, several stores were looted along Georgia and Robson Streets and there were exactly two stabbings.) Stories abounded about how people were trapped downtown after TransLink was forced to shut down bus service into/out of downtown. 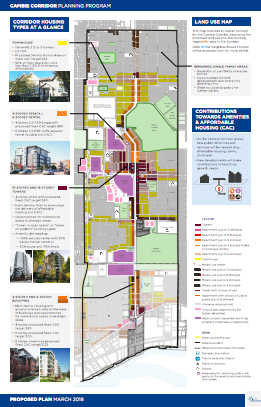 (Anyone living here knows that Vancouver’s downtown is a peninsula. 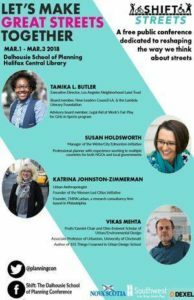 You can walk east, south, and southwest about 20 minutes and you’re out of the core and can hop on a bus.) The international media quickly picked up the events unfolding through thousands of Twitter feeds, Facebook updates and incessant hand-wringing of middle-aged news anchors on CBC, CTV, and local Canadian networks. Even now, media comparisons persist between Vancouver’s Stanley Cup riot (over 100 arrests) and Toronto’s G20 protests last year, an event still being pursued in the courts involving 19,000 police offers, 1,100 security guards and over 900 arrests, the highest number of mass arrests in Canada’s history. I’m more concerned with how quickly Vancouver residents disowned the riot, saying it was not typical of Vancouver. NBA player Steve Nash, a Vancouver native, agreed the riot was an embarrassment for the city. Police Chief Jim Chu was quick to pin the blame on “anarchists and criminals” (though he took back those words within days). Gary Mason of The Globe and Mail wrote that rioters came from all over the region, not just Vancouver. Solicitor-General Shirley Bond said that the riot was due to a very young, predominantly male crowd–a different crowd than other Stanley Cup playoff nights. Spectators interviewed by the press indicated their disappointment, saying, “This is not Vancouver.” Later, when locals started penning their thoughts on the wood panels used to shore up broken windows of vandalized stores, a common theme was “Don’t judge us by a few hooligans.” Quickly, now, repeat after me: Vancouver is pretty. Not ugly. In fact, this is Vancouver. Like any city, Vancouver has a history of violence, and riots have arisen out of political protest, civic unrest and hooliganism. In September 1907, 2000 citizens gathered in “anti-Asiatic riots”, smashing in the windows of Japanese business owners on Powell Street. A drunken riot involving 600 citizens and soldiers demonstrating in front of the Vancouver Police Station was broken up by tear gas and military police in August 1943. In November 1966, 5000 rioters swarmed into a three-block area along Georgia Street, throwing beer bottles, breaking windows, and starting fires in sidewalk trash bins after the annual Grey Cup parade; there were 200 arrests. In August 1971, Gastown residents rioted against a police crackdown on illegal drugs; 100 people were arrested. Less than a year later, in June 1972, 2000 people outside Pacific Coliseum hurled rocks, bottles and Molotov cocktails at riot-equipped Vancouver Police officers during a Rolling Stones concert (warmup act: then-22-year-old Stevie Wonder). Thirty policemen were injured as the mob tried to crash the concert. 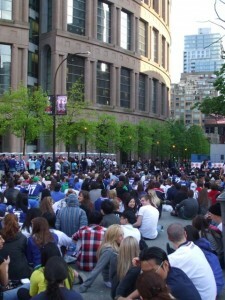 And of course, following the Canucks’ Stanley Cup loss in 1994, a riot ensued lasting six hours; 200 were arrested. Some of these riots were inspired by political events, but some involved a bunch of hooligans who thought it would be fun to smash some stuff up and set a few things on fire, just like June 15th, 2011. Many came prepared to riot regardless of whether the Canucks won or lost, with black knit masks, fire extinguishers that could be used to smash windows, and signs that said, “Riot 2011”. Countless people took digital photos of themselves with the burning cars, arms held high as if they’d scored a victory. In Vancouver’s first social media riot, Twitter feeds, Facebook postings, and the confessions of several teens who have been charged after the incident confirm how lightly participants took acts like setting cars on fire. They seemed to just go with the flow, and even seem surprised at the internet backlash that has led to them losing their jobs, being suspended from sports teams, and endangering their families. Like Stephen Quinn joked, some might even have hooked up as a result of their actions (“Missed Connections/I saw you (through the tear gas)”, The Globe and Mail, June 24). Every city has the potential for inexplicable violence, because every city is home to hundreds of thousands of people. We did manage to hold the Olympics here without major incident. We’ve also held countless international events like Expo ’86, and community events like Car-Free Day on the Drive, the Kitsilano Greek Festival, and Chinese New Year celebrations, all of which draw thousands of people. All of these events are carefully planned with the presence of police, first aid, and security personnel. Most of the time, nothing goes awry. Occasionally it does (few outsiders remember that downtown windows were smashed by anti-Olympics protesters on the first day of last year’s Olympics). When it does, we all have to deal with it: the mayor, the police chief, the gutsy few that helped hold back looters (“Police seeking Stanley Cup riot Good Samaritans”, The Toronto Star June 27th) and more than 14,000 citizens who volunteered to help store owners clean up the shattered glass and debris on the morning of June 16th. These stories, both good and bad, become part of the city’s history, at least for those of us who can’t stomach the sugary-sweet myth of Vancouver. 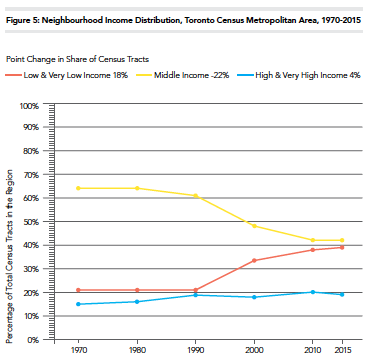 Those of us who live here know that this is also a city with persistent homelessness, sharply polarized incomes (with the poorest and richest postal codes in the country), and serious drug traffic. People exist here, like they do elsewhere, within a fragile network of social connections kept alive by a veneer of civility. Certain events (whether it be sports, politics, or inequity) motivate people to take sandpaper and blowtorches to the shiny surface, exposing the conflicts underneath. Other events, like “most livable city” contests, buff the veneer right up again. So never fear, politicians and business scions: the myth of Vancouver as some kind of laid-back hippie paradise (for rich people) persists. Maybe this riot, like the 1994 Stanley Cup riot, the 2001 transit strike that lasted so long it produced skewed Census results, and the persistent smashing of Starbucks’ windows when they first opened on Commercial Drive, offers us a little insight into the complex social, income, and ethnic diversity of this city. These events, like the Olympics and Expo ’86 and the hundreds of festivals held here, are as much a part of the city as the Downtown Eastside and Kitsilano. The rioters, the Good Samaritans, the cleanup crew, and the internet vigilantes who have sent police thousands of pictures to help identify rioters: they are all Vancouver.